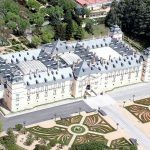 This Royal Palace is on El Pardo Hill of Madrid, which has almost 16,000 hectares of woodland, to the north of the city. 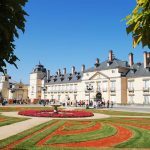 It was built in the 16th century, during the reign of Philip II, over the remains of a small castle that Charles I constructed in the 15th century. This is why El Pardo Palace inherited the structure of a medieval castle with towers at the corners, surrounded by a moat. Besides its architectural beauty, the monument is also outstanding for its interior decoration. 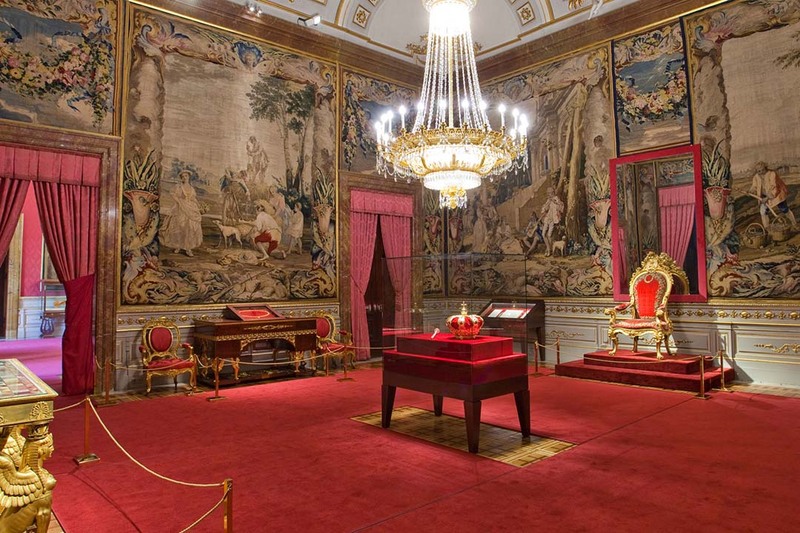 It has wonderful tapestries following the compositions of artists like Bayeu and Goya. 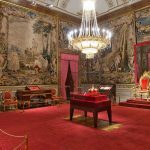 You can also see 18th- and 19th-century furniture, and works of art such as Juan de Flandes’ Portrait of Isabella the Catholic and Ribera’s Portrait of Don Juan José de Austria on horseback. 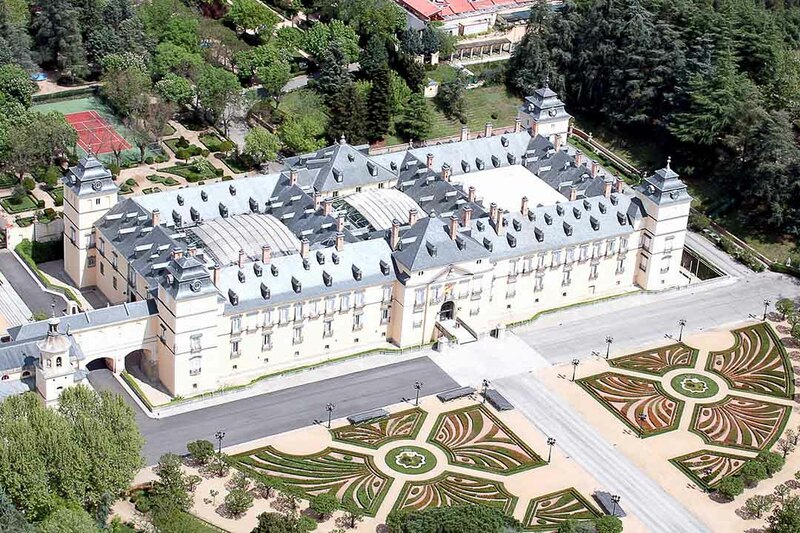 Since 1983 it has been used as a residence of foreign heads of state on official visits to Spain. The palace has many beautiful French chandeliers. All the ceilings are decorated with paintings and frescoes, as well as big gold medallions. There are large gold framed mirrors on the walls, and French style furniture, all in very good condition, with recent refurbishing of the materials. The amount of art work in the palace is very impressive, including paintings and sculptures. There is a small chapel in the palace where a few people can pray and hear Mass. There is a big royal chapel in a separate building that is also beautiful and many times this chapel is used for concerts and cultural events. 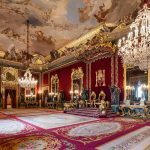 All in all, the palace is one of the most beautiful of the royal palaces in Spain. 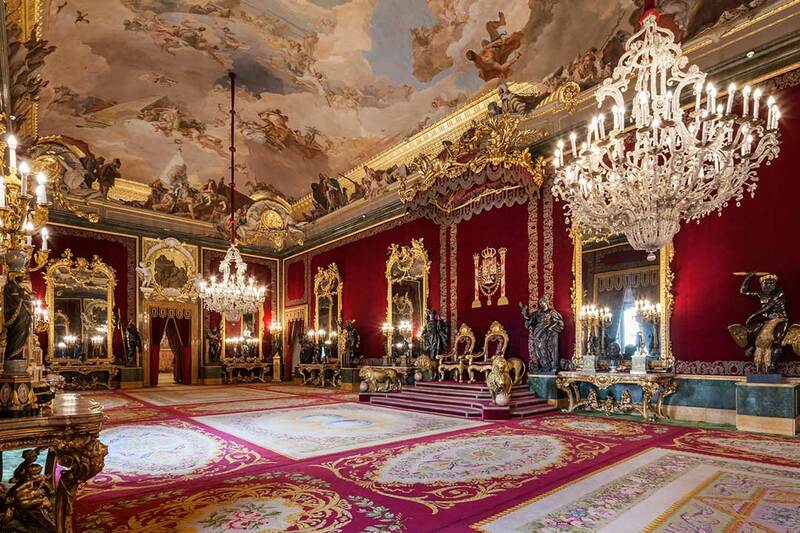 You can visit the apartments where heads of state stay. It is worthy of being the Residence for Foreign Heads of State, and visiting heads of state will not find fault with anything in the palace. The visit of the palace is only with the professional tour guide. Across the palace there is a small square that has a small tearoom called La Marquesita, which is a very cute tearoom that has many wonderful pastries. There are many restaurants near the palace where one can eat very well also. Entrance is about 7-9 euros. Check on their website if it’s open. They might close when they receive a politician guest from aboard. To go there it’s quite easy: Bus Intercity Line 601 (from c/ Princesa next to the Moncloa interchange), it’s like 20 min ride. 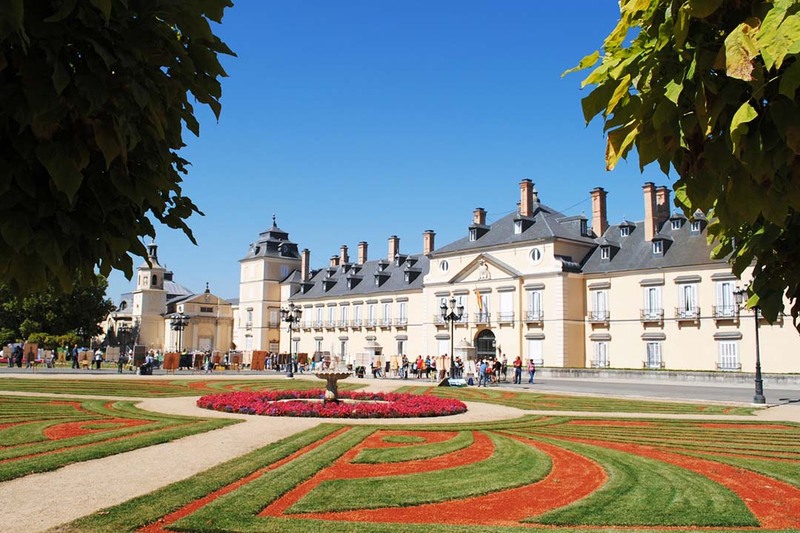 Or by car about 14km from Madrid Moncloa.